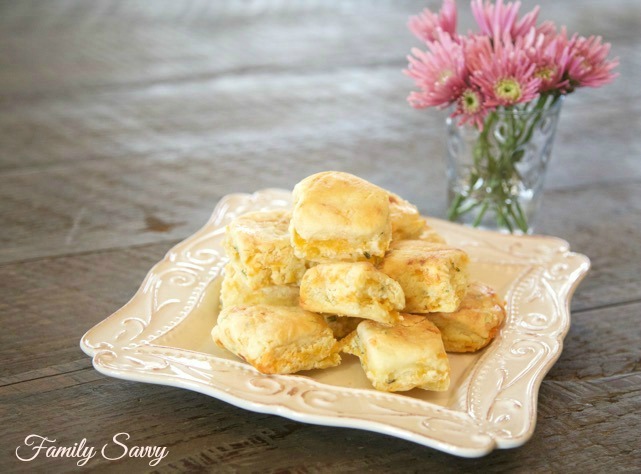 These cheesy biscuits will be the main attraction of any Southern table, from a family breakfast to a shower brunch to a full blown Southern style buffet. 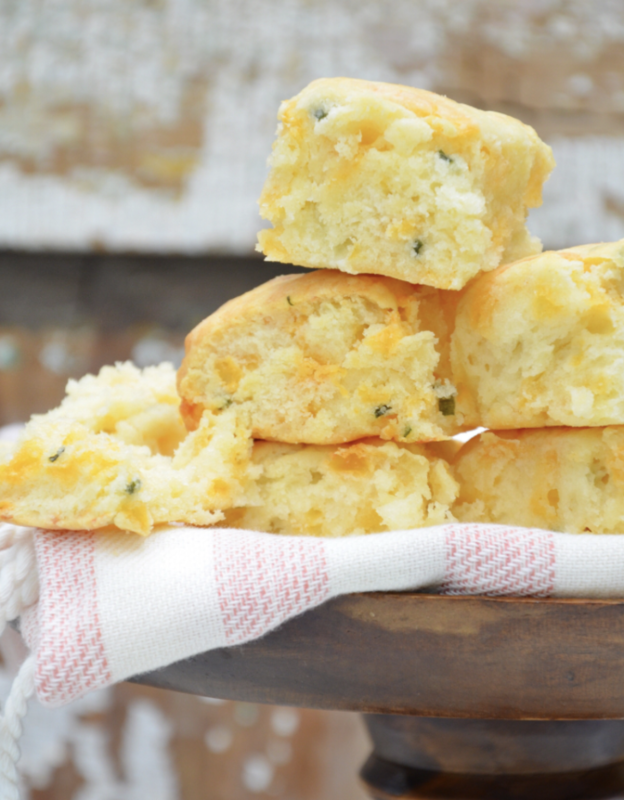 Biscuits are the epitome of true Southern fare. I am of the opinion that a plain biscuit is a good thing; a cheesy biscuit is a better thing:-). If you entertain, a good cheesy biscuit is perfect for a breakfast or brunch. Some hostesses set up “biscuit buffets” with assorted spreads (i.e. chicken salad, pimento cheese) and meats (i.e. BBQ, pork tender) for lunch and dinner events. Favorite Store Bought Cheesy Biscuit: If you want to buy not bake, try my favorite cheesy biscuit~ Callie’s Charleston Biscuit’s Cheese & Chive. These are in the freezer case at select grocers (I buy mine at The Fresh Market) and are outstanding. My first favorite is this Callie’s Cheese & Chive Biscuits copycat recipe. I’ve made these with great results, and I am not a great biscuit baker. If you love baking, you’ll love this recipe. Another favorite is Palmetto Cheese Drop Biscuits made from Palmetto Farms pimento cheese. They are super easy to make and always a hit. If you ever need a cheesy biscuit, I hope one or both of these recipes comes in handy. If so, please let me hear from you in the comments. As always, thanks so much for stopping by. Be blessed, and stay savvy!!! These biscuits sound delicious. I love the delicate flavor of chives.